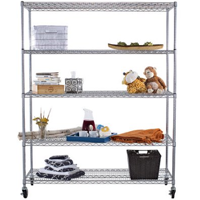 Chrome Wire Shop Shelving is a fantastic solution to your retail display needs. They are super strong and take a lot of weight, but they also look fantastic. With the addition of castors you will be able to change your displays quickly and easily. 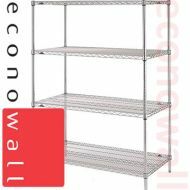 Buy Your Strong & Functional 1220mm Tall Chrome Wire Shop Shelving Bay With 4 1220 x 355mm Shelves Today!